We are growing, grow with us. 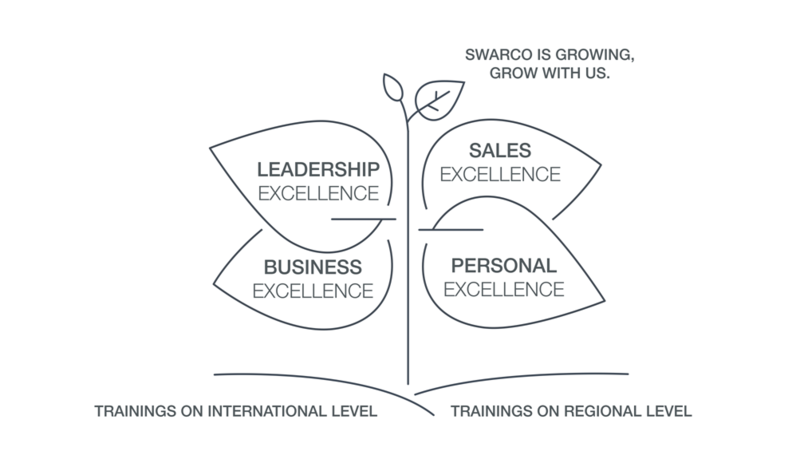 SWARCO is a global brand that continues to grow every year. Our most important growth engine is 3,700 mobility experts around the globe: our employees. We have founded the SWARCO Academy to enable them to grow with us and develop both professionally and personally. The SWARCO Academy includes both training at international level (cross-functional, cross-national) and at regional level (based on local needs and requirements). Take advantage of your career opportunities and grow with us.